Airbnb has reversed its decision to remove rental listings of homes located inside Jewish settlements in the Israeli-occupied West Bank. The move will settle legal action brought by hosts, potential hosts and guests against the US firm. Airbnb said it would now donate all proceeds from rentals in the West Bank to humanitarian organisations. “Airbnb has never boycotted Israel, Israeli businesses, or the more than 20,000 Israeli hosts who are active on the Airbnb platform. We have always sought to bring people together and will continue to work with our community to achieve this goal,” it added. Why did Airbnb ban the listings in the first place? There are also some 100 outposts – small settlements built without the Israeli government’s authorisation – across the West Bank. Airbnb had faced criticism from Palestinian officials and human rights campaigners for allowing listings of homes to rent in settlements. Last November, the firm announced that following an evaluation it had removed 200 listings because the settlements were at the “core of the dispute between Israelis and Palestinians”. 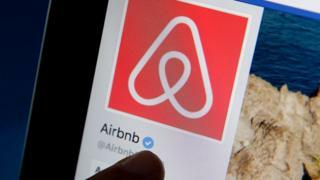 “US law permits companies like Airbnb to engage in business in these territories,” it said. The original decision to ban the listings was welcomed by Palestinians, and Human Rights Watch called it a “breakthrough”. But the Yesha Council, which represents settlers, accused Airbnb of becoming “a political site” and said the decision was “the result of either anti-Semitism or capitulation to terrorism, or both”. Why the decision to backtrack on the ban? Israeli lawyers filed a class action suit, which is when a group of people with similar claims sues the defendant in one action. Airbnb said that under the terms of a settlement it would “not move forward with implementing the removal of listings in the West Bank from the platform”. The San Francisco-based company said it would allow listings throughout the West Bank but donate any profit it generated to “organisations dedicated to humanitarian aid that serve people in different parts of the world”. Airbnb said the same approach would be implemented in the disputed regions of South Ossetia and Abkhazia in the Caucasus. The announcement was made days after Israel’s Prime Minister, Benjamin Netanyahu, promised to annex West Bank settlements if he was re-elected. Campaigners against the ban praised Airbnb’s decision. Eugene Kontorovich, director of international law at the Kohelet Policy Forum in Jerusalem, told AFP news agency: “Airbnb has realized what we have long argued – that boycotts of Jews anywhere, even just in the West Bank, are discriminatory. “This is a huge blow to efforts to delegitimize the Jewish presence in the West Bank,” the campaigner added. But Arvind Ganesan of Human Rights Watch said: “Donating profits from unlawful settlement listings, as they’ve promised to do, does nothing to remedy the ‘human suffering’ they have acknowledged that their activities cause. An Amnesty International report published earlier in the year argued that Airbnb was among the digital tourism companies profiting from “war crimes” by offering services in West Bank settlements.